Rarely will you find a player as loved as Justin Meram. Born and raised in the United States, he chose to represent Iraq in a decision that has led to him gaining a huge and loyal following of Iraqis from across the world. With the 2019 Asian Cup on the horizon, we sat down with the Lion of Mesopotamia to discuss his past four years on the international scene as well as his future ambitions for club and country – and he answers some of your questions too! You’re back in Saudi Arabia, a country where you made your debut four years ago! How has the team changed in this period and how has it all been for you overall? It’s completely changed. From my first time in Saudi Arabia, there were a lot of nerves, my first time playing international football. I had no idea what it was about. Now I’m coming here with over four years’ experience, I know a lot of the guys and speak more Arabic. Coaches have changed over the years. For me, it’s been completely different from the first time I arrived until now but hopefully, with this new coaching staff and these big friendly matches we can grow as a team and do well moving forward to the Asian Cup. What’s it been like with the new boss, Srečko Katanec, albeit it’s still early? I’ve only had a few days with him but he’s a guy who speaks English, he’s communicating sometimes with Ali Adnan in Italian. He’s a well-rounded coach that likes to have a laugh but is also really serious. What I like about him is no matter the opponent, he wants to win and has belief. In a football match, anything can happen. You have to go out with spirit, pride, strength and give everything you have. If you don’t win then you learn from it but if you win then you keep growing from that. How was it going head to head with South American giants Argentina in the Superclásico Championship? It was my first game against a team from South America and it was exciting to see how our level compared with a top country. I think we did pretty well in the first-half to counter Argentina and had some good moments in attack but playing five at the back made it tough to win the ball higher up. This caused the team to naturally sink in and stay compact. We made changes in the second-half and the Argentines put away their chances. All in all, they were a great opponent that tested us and we must grow from this experience in a positive way. Have you enjoyed playing alongside Bashar Resan? Bashar was Iraq’s man of the match, but it was sadly overshadowed by the passing of his mother before kick-off. Bashar, I love this guy. I think everybody in the national team does. He’s a fantastic footballer and plays for the biggest club in Iran but off the field he’s so nice, caring and has great humour. I always enjoy playing with him and we speak Arabic/English together. It was with heavy hearts we received the news – may his mother rest in peace. God’s blessings to Bashar and the Resan family and we pray they can stay strong through this difficult moment. How was it growing up as an Iraqi-American during a really hostile time? My parents did a wonderful job raising me. They made sure I understood the American culture without losing sense of where I come from. Being a Chaldean Iraqi I’m extra proud of playing for the national team. It’s one of the greatest achievements I’ve had in football to represent a whole country. Putting the shirt on and doing well on a big stage gives me great pride. As an Iraqi-American living in the States, we grew up eating Iraqi food all the time and speaking Chaldean in the house. I never lost touch with my culture even though I was in the States. Eventually when I became a professional and how I got into the national team was all pretty special. I’m just glad I can keep playing at a high level. I’ve noticed lately I’ve been a bigger presence on the pitch, more comfortable, understanding the language better and speaking a little bit more Arabic. The more years you play, the better you become. That’s what I believe. Hopefully, I can have a good Asian Cup as well. Were you approached by USMNT as a youth player? Never at the youth level but when I was making the decision to play for Iraq my head coach at the time called me and said Jürgen Klinsmann might bring you in for a camp in January. He wanted to know if I was sure about choosing Iraq. For me, Iraq was the first to call. My heart was set to play for my country, my background, where my family and I come from. 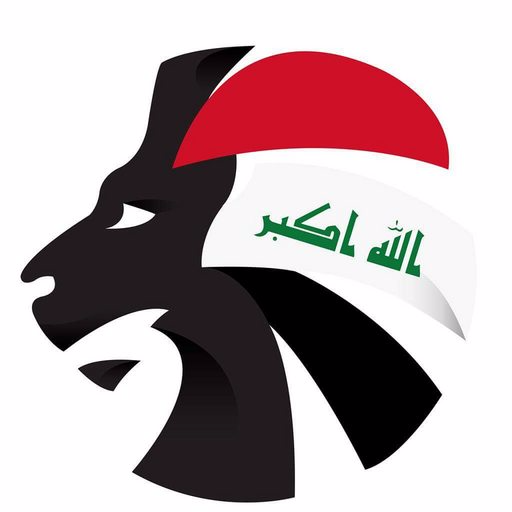 Through and through, I’m an Iraqi. I come from two Iraqi parents so, for me, I’m 100% Iraqi even though I was born in the States. Last year, you played in Iraq for the first time since the ban was lifted. How was that experience? It’s hard for me to describe that moment playing there. It gives me chills. Something about playing in a country that’s so passionate about football with that many people cheering you on. You’re playing for something bigger than yourself. I have great joy to do well for the people of Iraq. Hopefully, we can play more games there more times of the year. I think it would be good for everybody. Do you think that the World Cup Qualifiers would have turned out differently had our games been played at home? 100 million percent! Of course. We were missing that. We had a strong team. Some results we were maybe winning and ended up drawing or losing because we didn’t have a home advantage that every other nation had. 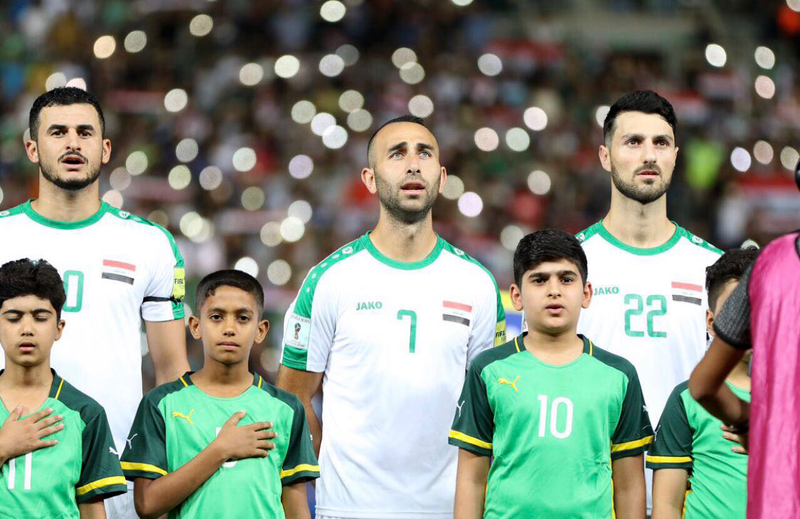 This January, Iraq embark on another Asian Cup campaign. How do you rate our chances in the competition? This is a big tournament. My first game was the Khaleej in 2014 and quickly after a couple of months was the Asian Cup. I didn’t fully understand how big a tournament it was until the years went past. It’s a really big deal and I can’t wait to play. We’ll be as good as we want to be if we prepare the right way and have the right mentality. More time with the coaching staff, their philosophy and tactics. Anything is possible as long as we believe together as a group. Inshallah, we can step onto the field together and do well. You moved to Orlando earlier in the season but of course are now back in Columbus. Can you tell us a little bit more about what happened? It was a situation that didn’t work out. The coach that brought me got fired. New coaches came in with a different philosophy. It wasn’t the best fit but that happens in football. A lot of guys go places, it doesn’t work out and they move on quickly. It may be a bigger headline because I ended up back at the same team. It was a situation where they were in need of the position I left. I was in need of going back to the team that made me who I am today. Overall it was a blessing for me that coaching staff and the guys in Columbus were willing to bring me back. It always changes. Right now I’m with Osama Rashid, sometimes Rebin Sulaka, Ahmed Ibrahim or Ali Adnan. Every trip it changes. The national team squad is not always the same players all the time. It’s always good to have someone that can speak Arabic and English so I can learn a little bit more. In years past for sure but now my Arabic is getting stronger and I can understand more. Communication with the guys is much easier. On the field, if you speak football, anyone can understand. I would say Ali Adnan. He’s playing at a high level right now in Italy. He understands the game not just tactically but mentally in how he approaches the game. I think he’s doing a fantastic job. @SoccerIraq @JustinMeram #askmeram Do you ever think of moving to the top 5 leagues in Europe and have you ever been close to? In years past, it was possible. At this point in my career, with my age, I would love to. I still have a couple more years left in my MLS contract but I would love to play in one of the Arab leagues. I think it’d be fantastic for me to be playing in this side of the world. Of course. New coaches mean new philosophy. New training, new meetings and new everything. It changes the player’s performance. One coach will see you as a fantastic individual playing left-mid and another will see you as a number ten. Every coach has their own view of the game and tactics the players must address. With the national team always changing coaches it’s slowing down some of the progression we want to take. AskMeram who was your favourite player and team growing up? It was actually an Argentine – Gabriel Batistuta. It’s funny that’s the answer! When I was younger my older brother and I loved Batistuta. He wore number nine and was a goalscorer. Something about his name and his hair. I loved watching him play. When Cristiano hit the mainstream European scene and played for Manchester United, that’s who I followed because of him. Then as he moved to Real Madrid they became my team. Wherever Ronaldo goes that’s who I support. I think I’m still always going to be a Real Madrid fan. Something about him there is always going to leave a love for me. It’s a pleasure watching Madrid. Al-Zawraa. The all whites! If I ever go play in Iraq one day, hopefully, that club will sign me. I know Falah Hassan, the president. I know of him and his family and that would be the club that I think would be the best and I’d love to play for them one day, maybe later down the road. Who knows. I’ve seen some highlights and the fans in the stadium can get pretty electric so Al-Zawraa, for me, is number one. At this very moment, I have so much respect for Ronaldo. For what he’s been able to do in so many leagues and Champions Leagues. He’s always been the greatest but Messi is more gifted and dictates the tempo. It’s pretty impressive to see one individual control the tempo at all times. Fascinating really. However, you see Real Madrid now without Ronaldo, they haven’t scored a goal in four games. I can’t choose one or the other so I’m just blessed to be living in a time playing football whilst they are still playing as well.